The new Microsoft Surface Book was announced earlier this month, prices for the device start at $1,499 but it you go for the top model, it will cost you quite a bit more than that. 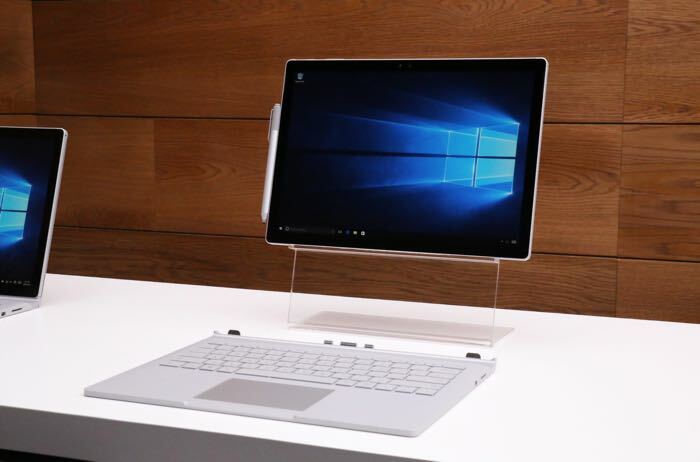 The high end version of the Microsoft Surface Book comes with an Intel Core i7 processor and 1TB of built in storage, this model costs a massive $3,199. The Surface Book features a 13.5 inch display that has a resolution of 3000 x 2000 pixels, the top model also comes with 16GB of RAM. Other specifications include Windows 10 and front and rear facing cameras. The front camera on the Surface Book is a 5 megapixel version and the rear camera on the device comes with 8 megapixels. You can find our more details about the new Surface Book from Microsoft at the link below, the device is now available to pre-order, although it wont actually ship for 5 to 6 weeks.